Worrying about your phone addiction? You're at the right place. It is undoubtedly true that mobile phones have made our life easier and better. Despite having so many plus points, they have few major disadvantages also. Phones are distracting people from real-world making us less social nowadays. People are more happy to live in their own virtual world. If you want to beat your phone addiction, you may need to find out how many times you check your phone in a day. Here we have a simple solution for that! 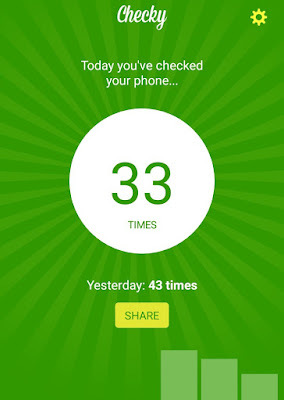 There is an app available on Google Play Store called Checky which lets you know how often you are using your phone in a day. It's a very light-weight app having just 2MB of size. Download and install Checky app on your Android or iPhone device. Once you launch the app, it will start working in the background to track your phone activities. Checky app counts each time when you unlock your phone and at the end of the day, it will automatically notify you how many times you have checked your phone. You can also compare your scores and share them with your friends. 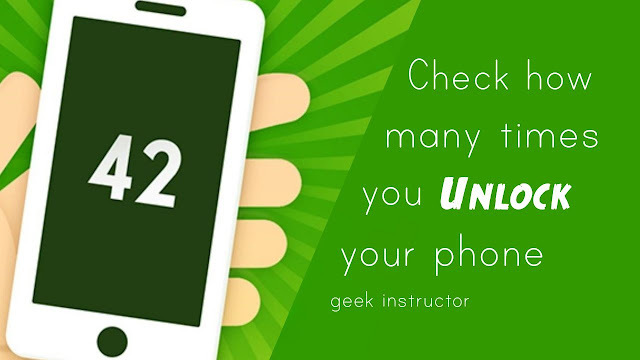 If your aim is to reduce your phone usage, make sure to reduce your Checky score everyday. AntiSocial - This app helps you monitor, compare and control your phone usage habits. Apart from tracking your phone unlock activity, it also tracks how much time you spend on a particular app in a day. Another good feature of AntiSocial app is, you can block multiple applications and set time limit for daily use of social networks. QualityTime - This app provides a unique and in-depth insight of your smartphone activities by tracking total usage, screen unlocks and individual apps. "Take a break" and "scheduled breaks" features helps you control your phone usage by blocking apps and incoming calls for some time. We hope you find this guide helpful to reduce your phone addiction. If you would like to ask something about this tutorial, feel free to share it in the comment section.